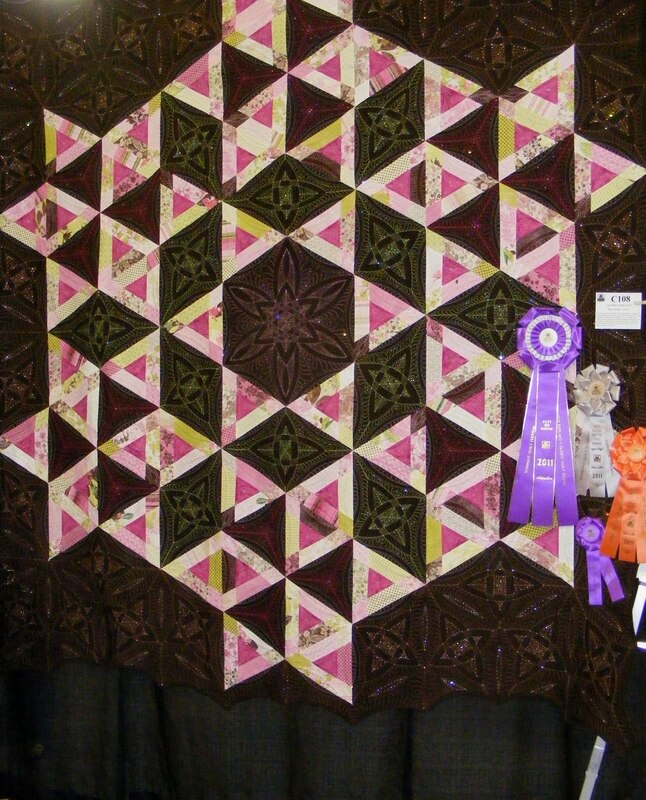 Quilting Adventures: Vermont Quilt Festival - Some of my favourites......! Vermont Quilt Festival - Some of my favourites......! This has got to be one of my all time favourite! Of course, I'm just a push over for a hand applique quilt! Stunning! The picture does not do it justice! 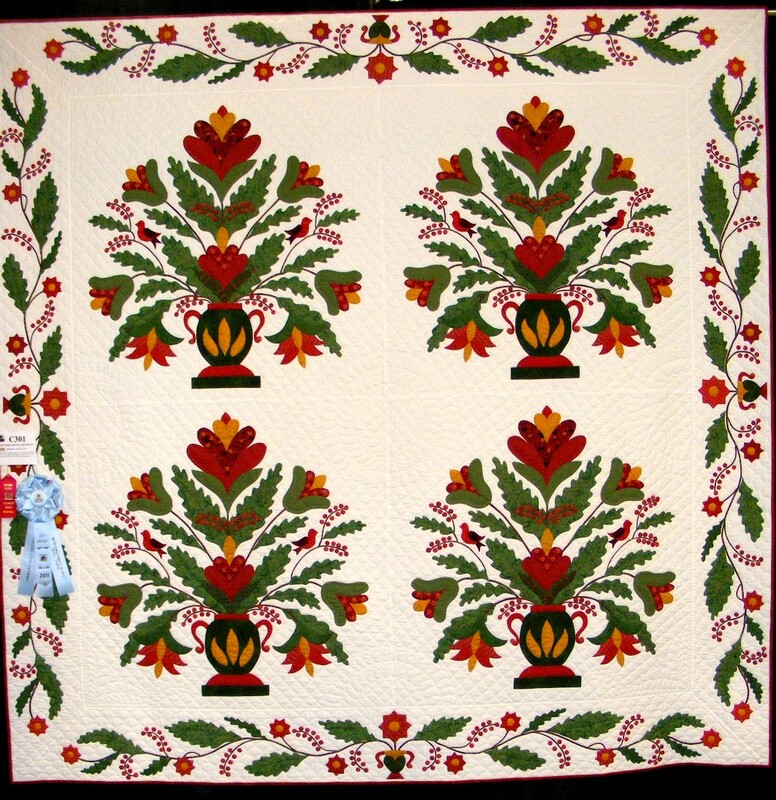 "This quilt was inspired by a picture I saw while visiting Marge Lydecker. Each night as I fell asleep I saw this picture of an antique quilt from Old Sturbridge Village. Hand quilted." 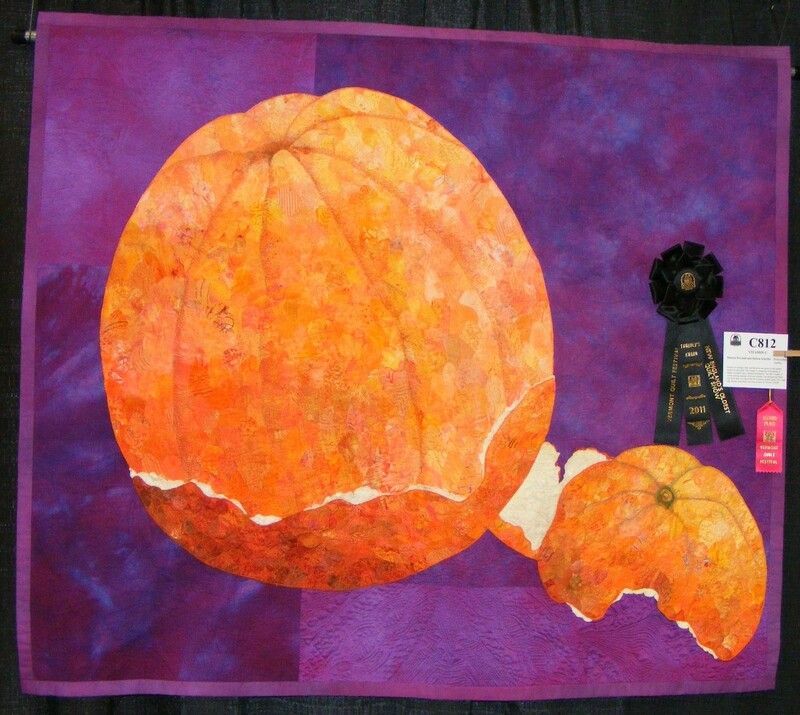 "Dozens of oranges were sacrificed in our quest for the perfect model for this quilt. The orange is composed of hundreds of fabrics collaged onto a flannel foundation. The pith is made of cotton batting painted, dyed and quilted. The background fabric was dyed and over dyed, then free motion quilted using 100 weight silk thread. Stationary machine quilted by Helena Scheffer." 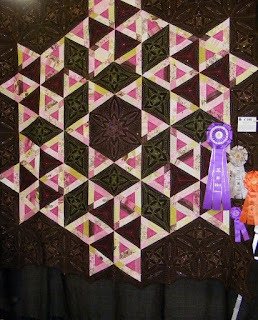 "After I pieced the top that is an original pattern, I thought the contrast between the licorice candy colored printed fabric in the triangle and dark brown background was too strong. Thus, I used my melon template set by Kim Brummer to design the very geometric quilting design. Contrasting thread and Swarovski crystals softened the contrast and added a filigree feeling like lace. Track machine quilted." I did not re-size the photograph so that you could enjoy the details! What a gorgeous quilt! The machine quilting is phenomenal! These are just a few of my favourites. As with many quilt shows, there were so many beautiful quilts. Thank you for your patience. Keep well! Cheers! That applique quilt is just stunning! Beautiful quilts, wish I could have gone, maybe next year. You are right - the machine quilting on that quilt is amazing!! The orange quilt is pretty interesting as well. Carole, I've been wondering how you have been doing. Love, love the applique quilt. I love those type of quilts, yet have never made one. Thanks for the show. Dear Carole, my friend Teri pointed me out to this blog post of yours about VQF. I'm so thrilled that you have taken the time and effort not only to take so many pictures of my quilt Licorice & Lace but also that you have considered it worthwhile posting about it on your blog! Thank you so much, I LOVE it! Thank you for sharing. Those are amazing quilts. Beautiful quilts!! Thanks for sharing all the lovely pictures. The quilting is stunning. I can´t imagine the work that has been put into that quilt, must be hundreds of hours. Wow -- those quilts are amazing. Thanks so much for sharing them. I LOVE that first applique quilt -- Beautiful!! !